Located in the south of China,not far from Vietnam, Guilin is one of top ten destinations for both local Chinese and foreigners. It has China's most "Chinese" scenery, the subject of thousands of paintings in China and has been eulogized in innumerable literary works. 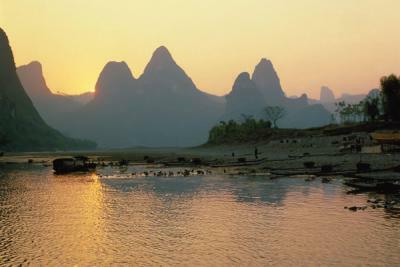 The limestone karst peaks along the Li River are especially magnificent, as you see in many paintings, postcards and photos. 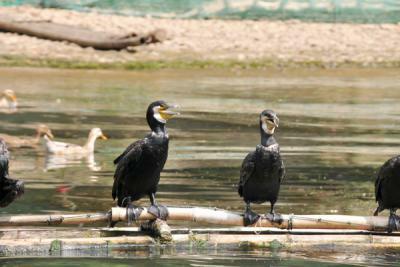 Other typical scenery includes farmers wearing straw and planting seeds and sprouts with water buffalo in the wet paddy fields; fishermen casting nets and cormorants lining up on the edges of the wooden boats. The life of Chinese minorities in the countryside is another attraction of the trip. 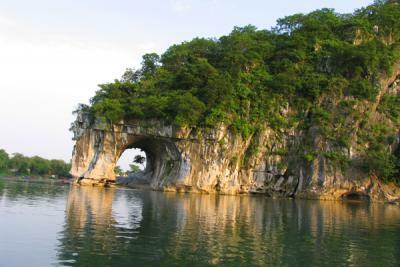 is located 70mk away from Guilin in the northeast part of Guangxi province. It is featured with the typical karst terrain. 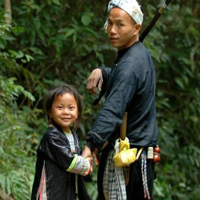 It is home to Zhuang, Yao, Miao and eight other minority groups what makes a stay very special. In northeast Guangxi you will find the Dragon Backbone Rice Terraces (Longsheng Rice Terraces) which offer an amazing scenery with minority villages scattered among it. * Leisurely walk along a branch of the Li River at Yangshuo, viewing the limestone carst peaks along the Li River, and visit villages scattered in the limestone karst hills. 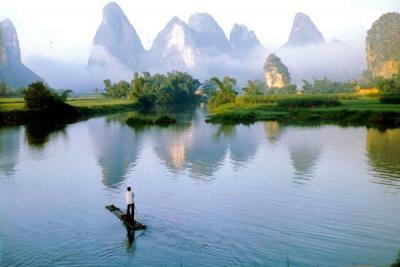 * Cycle along Yulong River in Yangshuo and pass several authentic villages. 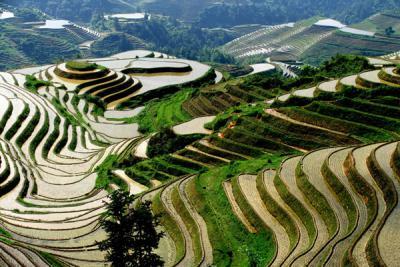 * Stay overnight on top of Longji and enjoy the beautiful terrace rice fields from the summit . Other locales departure: we welcome those to join us from other locales and meet us in Guilin. Upon arrival at the airport, transfer to coach. Head to Longsheng, and climb up the Dragon Backbone Rice Terrace to check in the hotel on the summit of the Rice Terrace Hill (3-star hotel, traditional ambiance). Free time to walk and hike the hills and take photos. Wake up the view of glittering rice terrace. Walk around this famous Dragon Backbone (Longji) Rice Terrace and some Zhuang ethnic minority villages. Float down the stream of one section of Li River in Yangshuo on bamboo raft for around 40 minutes. Take leisurely walk for around 1.5-2 hours, along the highlight section of the Li River in Yangshuo, where the most magnificent landscape is located. You will walk through some villages and meet locals. Free time to wonder around the beautiful township in Yangshuo and pamper yourself with a massage. Explore the local cuisine including a tour of the Yangshuo market to learn about the ingredients used in this area, Then learn to cook Chinese food in Yangshuo. 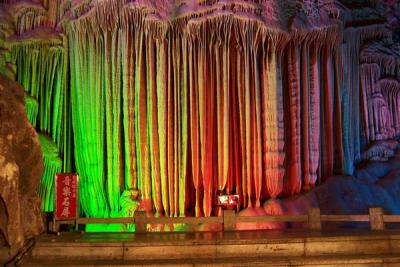 About the outdoor night show "Impression Sister Liusanjie": a magnificent outdoor night show (choreographed and directed by famous Chinese film director Zhang Yimou and performed by hundreds of local villagers) will be shown on the Li River every night with the backdrop of the mountains. It is optional but recommended. Cycle the fascinating Yangshuo township, plantings fields, market and explore the beautiful villages and the Big Banyang Tree, till we get to the foot of the Moon Hill. Transfer to the airport in late afternoon and fly out. Children ages 5-7 pay 60% of total tour price. Children ages 8-11 pay 80% of total tour price. CCC calculates its trip prices and books its trip accommodations based on dual-occupancy rooms. Therefore, single travelers who is booking this trip as a lone passenger, and for whom CCC cannot find a room-mate when booking or paying for the trip, will have to pay the “Single supplement”. Should a room-mate be found, the Single Supplement paid shall be refunded. Payment at office: CCC must receive the amount (Cash or from credit card) before the published deadline to receive corresponding price. Bank Transfer: CCC now requires that your payment must be transferred into Chinese RMB before you wire your bank transfer. We must receive a copy of the bank transfer receipt before the published deadline in order to guarantee your price. Last minute booking: CCC cannot guarantee that we will be able to reserve tickets and rooms at this late stage but we will try our best. Thank you for your understanding. CCC will respond to every email concerning payment immediately. If you do not hear from us this may indicate that we may not have received your email and we would advise you to call us to confirm. We cannot guarantee that we receive every email so the onus is on you to ensure we receive the payment information before the published deadlines. Thank you for your understanding.